As I mentioned earlier this week my fam just returned from a trip to the Texas Coast. It’s hard for me to believe it, but I came home empty handed. That’s right even after perusing cheesy tourist shops I didn’t buy a thing. 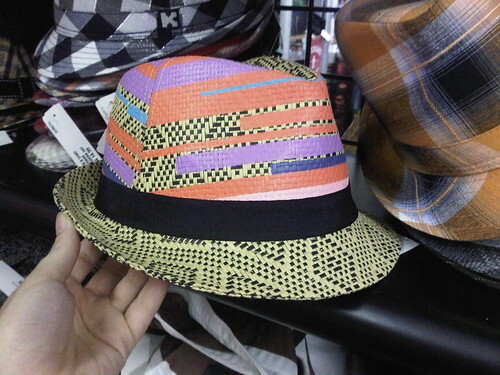 However, there was one item that keeps haunting me – a painted fedora. The hat was by Roxy and super duper cute, but alas the price tag was not so cute. 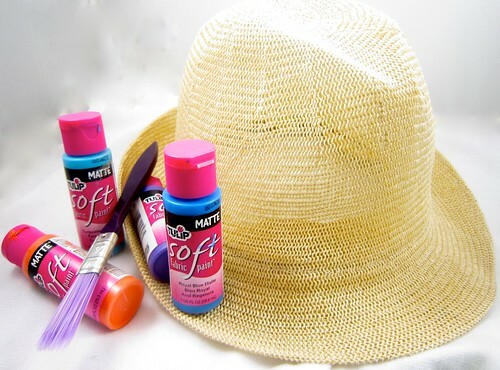 I snapped a few pictures because I knew at home I had an arsenal of Tulip fabric paint and a plain straw fedora just begging for a beachy makeover. If I had been able to put my hands on some painters tape I might have adorned this hat slightly differently. However, the tape was on the lamb so I free handed my stripes. This is where the square shape of your paint brush bristles comes in very handy. I studied the picture of the dreamy hat from the souvenir shop and mimikied the same stripes pattern. Allow your stripes to dry in-between coats. Measure a piece of black ribbon. 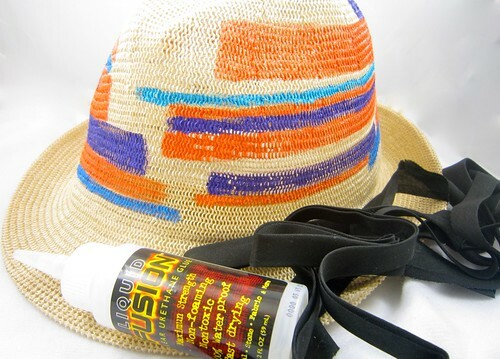 Attach to hat using Liquid Fusion Glue. 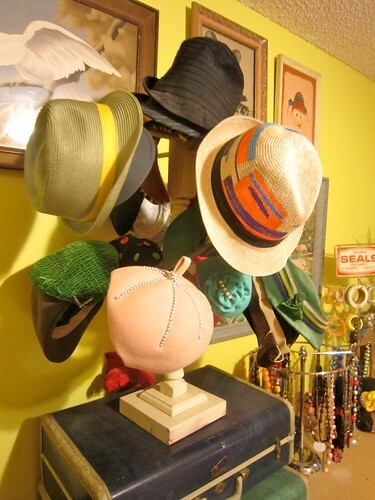 All that is left for me to do is wait for a sunny day or my next trip to the beach and sport my new and improved fedora. 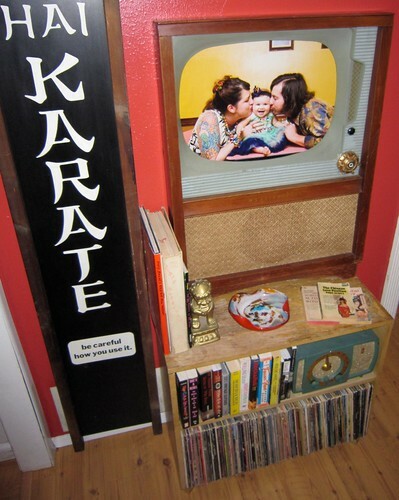 Posted July 1, 2010 & filed under Crafts, I Love to Create, Wearable Crafts. I love this! 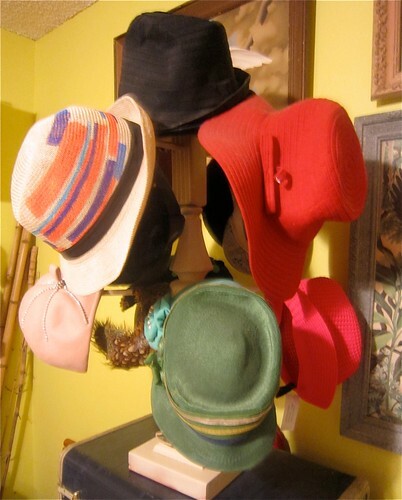 My 10 YO son wears fedoras all the time and I know he would love to try this! Great blog! I've been following you on flickr, but I've only just started blogging, so I really only just found this (I'm a slow learner lol) I'll be following the blog now too.